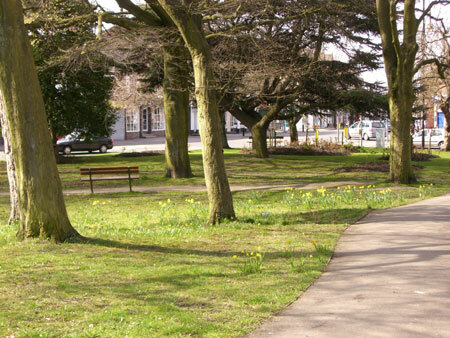 The Cheadle Green Focus Group has been set up to renovate Cheadle Green. The Green celebrates its Bi-Centennial in 2010 as it was given to Cheadle in 1810 to be used as a public open space. The intention is to open up the area and install more seating and better lighting with floodlighting to the War Memorial and up-lighting to the trees. The pond will be renovated and a fountain installed. To start off the Bi-Centennial Celebration there will be an Archaeological Dig which Greater Manchester Archaeological Unit are going to run for the focus group. This dig will be open to the public who will be very welcome to come along and get involved. The intention of the dig is to find the remains of Cheadle Hall which once stood on this site.